The news release that came from MacDonald Island Park said there were 1,300 people at yesterday's Remembrance Day ceremony in Fort McMurray. Last year, and for many of the years that came before it, the service was held in Keyano Theatre with a capacity of just south of 600 souls. If you go back a decade, it was a struggle to attract a couple of hundred to this important event. The world has changed and so has our community. "When I hear those pipes it's absolutely incredible," said Fire Chief Brian Makey following the service. "The hairs stand up on the back of my neck." There is something so profoundly powerful about a room full of people, young and old, standing at attention as we hear the distant sound of bag pipes and see the entrance of the colour guard. I get choked up and my eyes become filled with water. The synapses in my brain start reaching out for strands of memory collected from books, movies, newscasts, stories and school lessons. It is an overwhelming feeling of national pride, nostalgia, and civic duty. 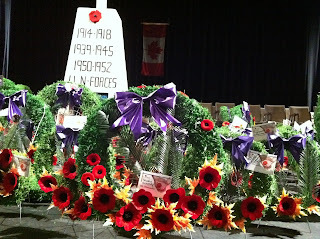 Those that gathered were young and old, lifelong Canadians and new Canadians, service personnel and civilians. Some were smartly dressed in their uniform, others came as they were. It didn't matter, the mix was perfect. Ben sat with his Cub Scout troupe and proudly rose in solidarity and respect as their representatives placed their wreath at the cenotaph. There were several highlights for me including hearing the words of Paster Glen Forsberg of the McMurray Gospel Assembly. He has this resonant voice that is so warm and welcoming, not to mention a message that is both accessible and compelling. I also enjoyed the Fort McMurray Legion Pipes and Drums. They were awesome. It never ceases to amaze me how so few instruments - there were five pipers this year along with two snares and a base drummer - can fill such a large space. Haunting, emotive, larger-than-life, the pipes and drums instantly inject a pervasive sense of import to any event, but especially a Remembrance Day ceremony. This November 11th was special from a numerology perspective. We celebrated on the 11th hour of the 11th day of the 11th month of the 11th year of the century and the 11th year of the millennium. We won't see five 11's lined up like that for one thousand years. 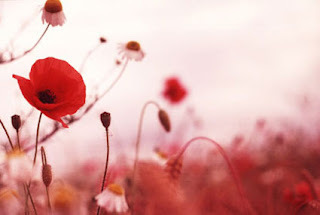 One day I want to be invited to read In Flanders Fields at this event. I'm just going to put that right out there in the universe and see what happens. 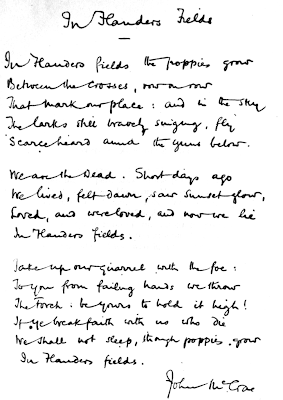 Ben and I worked on learning John McRae's classic words - penned on May 3, 1915 on the battlefield the day after he witnessed the death of his 22 year old friend Lieutenant Alexis Helmer - last year in the week leading up to Remembrance Day. I worked on finding the flurry of heartache behind the words, in the phrasing, in the imagery. 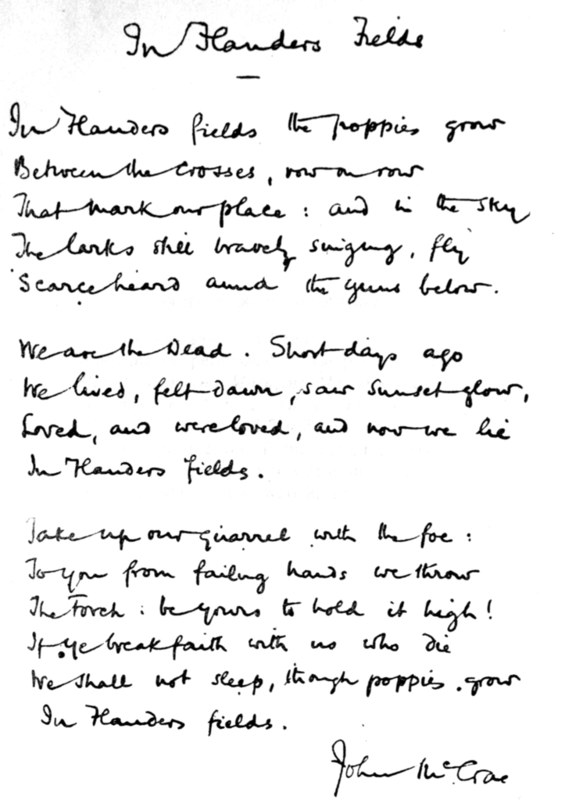 It truly is an amazing poem, that, if read with intention, has the power to take you to those trenches, to that day almost one hundred years ago, when one friend lost another as the larks still bravely singing flew, scare heard amid the guns below. Sadly, friends are still losing friends. Mothers and fathers still weep for children gone much too early. Alberta lost one of her own on October 29th. Short days ago Master Corporal Byron Greff lived, felt dawn, saw sunset glow, loved, and was loved. 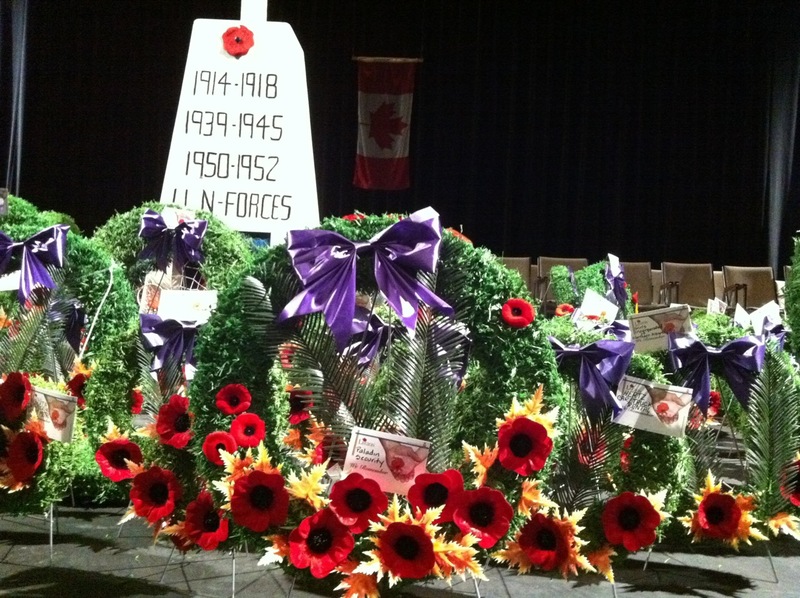 He joins 157 other Canadian men and woman who made the ultimate sacrifice. To us from failing hands they throw the torch, be ours to hold it high. Thanks Mary. It's an incredible poem that I absolutely adore.